LOS ANGELES -- A man and woman have been charged with multiple felony counts in connection with the discovery of a 2-year-old girl's body in a duffle bag at the U.S.-Mexico border in August, prosecutors announced Thursday. 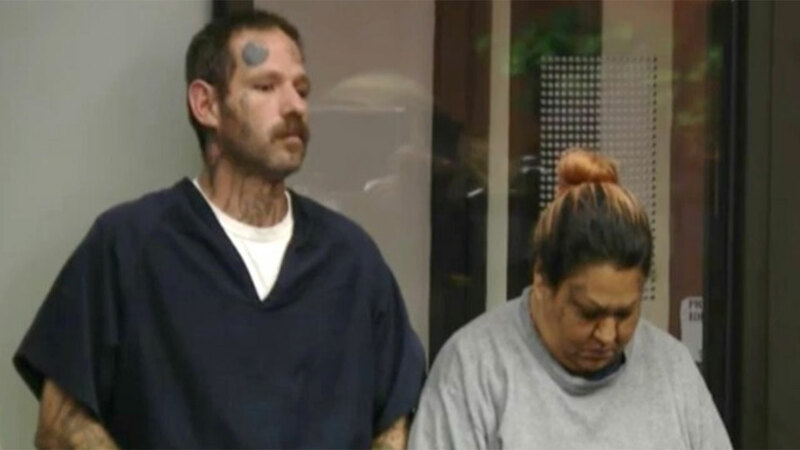 Mercy Mary Becerra, 43, and Johnny Lewis Hartley, 39, both of Whittier, California, were each charged with murder, torture, human trafficking to commit pimping/pandering, and assault on a child causing death, according to a statement from the Los Angeles County District Attorney's Office. They are scheduled to be arraigned Friday. The child was drowned in Whittier before she was found dead in the bag as the couple tried to cross into Mexico at the border, prosecutors said. The defendants were initially held on $2 million bail after pleading not guilty to the murder charge. During a hearing on August 12, San Diego Deputy District Attorney Kurt Mechal said the child's cause of death was residential drowning and malnutrition. According to the news release issued by L.A. County prosecutors, Becerra and Hartley "trafficked a woman between November 2012 and August 2016," during which time they "seized the woman's daughter, severely abused the child and ultimately killed the minor victim on or about Aug. 9." The girl has not been publicly identified. A preliminary investigation revealed Hartley tried to enter Mexico with Becerra at the San Ysidro Port of Entry on Aug. 9 when they were stopped by Mexican customs agents. Becerra fled the scene, and Hartley was detained with the duffel bag. Authorities conducted an X-ray of the bag and found the child's body inside. Not long after the discovery, authorities took Becerra into custody and turned her over to U.S. authorities. Social media accounts linked to Hartley and Becerra described them as married, and said Becerra was the mother of nine children. If convicted as charged, the man and woman each face a maximum sentence of life in prison.